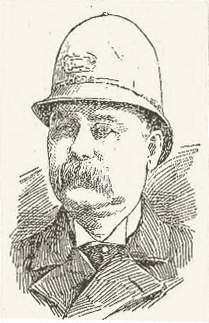 Lieutenant Nelson Doe died as the result of hydrophobia after being bitten by a rabid dog at the corner of Washington Street and Newhall Street on December 30th, 1895. 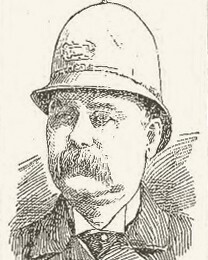 He was walking his beat when he was attacked by the Newfoundland and bitten on the lip and cheek. He returned to duty several days later and continued working until he began to suddenly suffer from headaches. His condition deteriorated rapidly and he died as a result of hydrophobia on February 16th, 1896. Lieutenant Doe was a U.S. Army veteran and had served with the Lynn Police Department for 21 years. He was survived by his wife and four children.